Want to discover a city off the beaten path? The best way to do this is by taking a graffiti walking tour! Cities like London, Berlin, New York, Athens, Sydney and Los Angeles are hot-spots of urban art. Some of the well-known street artists whose works can be seen around city walls across the world include Buff Monster, Â Krah, Kenny Scharf, Ben Frost and Chiho Aoshim among many others. Let’s jump straight to the walking tour list. Enjoy! Guided by street artists and graffiti writers, explore amazing street art and its philosophy. If lucky, you could even catch an artist at work. Widely appreciated by the international media and featured on the Travel Channel, this street-art tour winds up with a wonderful workshop in an abandoned margarine factory. Pick up graffiti techniques with instructions from local and international artists. As a souvenir, you get to carry back your own canvas. Walk on the Wild Side offers a street-art tour of the best street-art to be found on the streets of Montreal. And believe me, there are tons of street-art in this fine city! The tour lasts about 2 hours and you will see artworks Carlito Dalceggio, Felix Berube Labrona, Miles Mac, and Omen among others. Tours are leaving each Tuesdays, Wednesdays & Saturdays from the Fresh Paint gallery. Street art in Bogota is legendary. What was once a form of protest and executed in the cover of the night, is an art movement now. International artists descend on Bogota to leave their mark. Even Justin Bieber couldn’t resist an attempt at graffiti art. Colorful murals dot the city’s walls often conveying political and social messages. 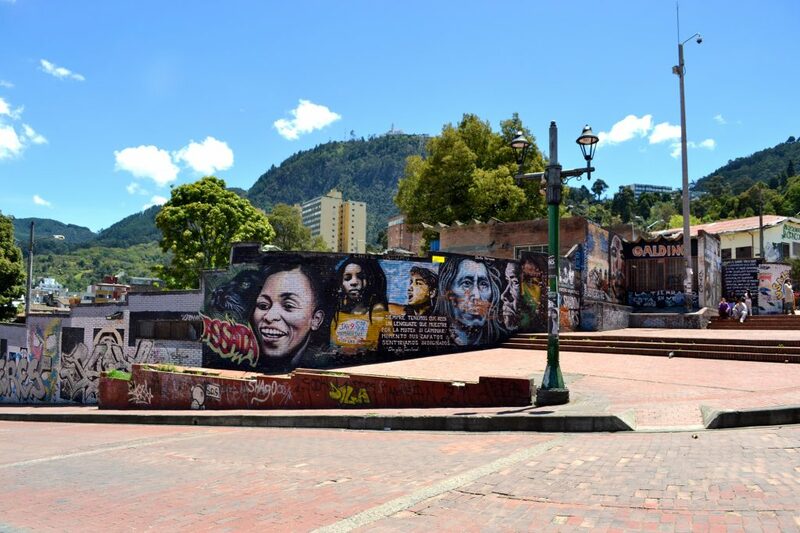 This graffiti tour, conducted by local artists, who are passionate about their craft, has been acknowledged as the best in Bogota. 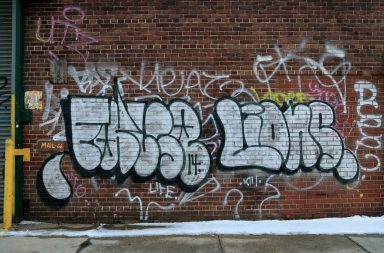 Once prescribed as vandalism, New York is seeing a revival of this urban art form. What started off as “tagging” by youngsters in the 1970’s and soon evolved into new styles met its grave as graffiti became highly penalized during the 1980’s. However, with the wide acceptance of the art in Europe, street art is making a slow comeback in designated public spaces. The Bushwick Collective, a private initiative by Joseph Ficalora, showcases amazing mural art by artists from around the world. Led by an enthusiast and author of a book on street art, this street-art tour gives you rare insights into the local community art scene. The walking tours take you to some of the most fascinating mural workS and end at their gallery in Palermo, Hollywood. A minibus tour takes you across the city and you get to see the work of Alfredo Segatori, who created the biggest mural in Argentina and a stunning 3-D turtle created by Martin Ron. This little tour of Camden streets is made interesting with the stories they narrate. They have an intimate knowledge of local artists and the art scene and have wonderful stories about the artists to share with you. Get an interesting perspective on Camden art where you can catch fascinating portrayals of British culture, high street fashion, the latest gossip in politics and even portrayal of celebrities. Promoted by the Graffiti Warehouse, they conduct the Open Walls tour, an appreciation of street art and graffiti in Baltimore. The Open Walls Baltimore project is an outdoor exhibition of murals curated by renowned artist Gaia to showcase street art that enlivens community spaces and promotes national dialogue. The street-art tours are conducted around the Station North location and comprise of several artist studios and galleries. A tour of East London’s street art conducted by professional street artists. Learn the difference between street art and graffiti and the techniques employed by artists. See a wonderful piece on Holywell Lane that shows colorful robots, an artwork in red and black on Bateman’s Row or the famous foam mushrooms that are the creations of Christiaan Nagel. You can opt for the walking tour or combine it with their workshop package that allows you to learn the nitty-gritty of street art. Visit one of the oldest neighborhood in New York to see wonderful street art or the neighborhoods of Bushwick and Williamsburg to see a multi-street community project. The locality of Lower East Side has a thriving street art culture. In Bushwick, you get to see Realist, Surrealist, and Pop Art works by local and international artists. Do not miss the world-renowned Bowery Mural in the city’s Lower East Side. Tours are conducted only on Mondays and Thursdays between March and December only. On this street-art tour around London’s East End and Camden localities, catch an amazing array of artwork. Across the city, you can find the wonderful works of Bansky in his distinct stencil artwork style. The colorful artworks in Camden show you the livelier side of the city and it is said that the graffiti artwork around Leake Street Tunnel near Waterloo are hidden gems. The large 30-foot bird and other colorful works on Hanbury Street and Brick Lane are notable. Two extensive and informative tours around the North and South zones of the city. 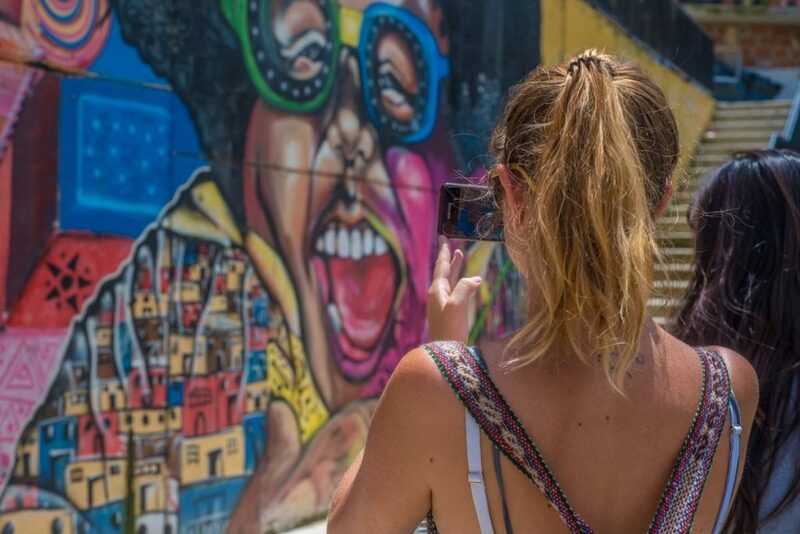 Conducted by guides passionate about street art, the street-art tour takes you around the most prominent graffiti works around the city and its famed favelas. You are also shown colorful Carioca graffiti that had its origin in this city. A themed tour that revolves around their selected artist of the month is their highlight where you get to meet the artist. Run by a group of the same name, you could choose to do their main tour around Shoreditch or their other tours around Dulwich or Hackney Wick. At Hackney Wick, you can see the works of Ben Eine, Paul Insect, Broken Fingaz Crew, Faith 47, Sweet Toof and Paul Insect while some of the best murals in London can be seen at Dulwich. The Shoreditch area is one of the best places to see classic artworks. Extensive, educational, and experiential – these art tours showcase the public art movement like no other. Kingston, NY, Upper West Side/Hamilton Heights, and Newark/Jersey City are the most popular tours conducted by them. If you are in New York around October, the O+ festival organized by them should not be missed. You can see murals by Gaia, Mata Ruda, and Lunar New Year. The Route 21 mural at Newark is amazing as are Gaia’s two large-scale murals in Jersey City. A curated project, the walking tours around Bellevile, Left Bank, and Montmarte are much more than just a walking tour. While you get to see the works of Shepard Fairey, C215, Vhils, Jef Aerosol, Seth, Borondo, Miss Tic, and Speedy Graphito, you are also provided a background about how street art evolved and current trends and movements. The works of Invader, a Parisian artist, that uses ceramic tiles to create pixel art mimicking the Space Invader game are colorful and exciting. Tours last for around 2 hours and are conducted only on weekends. You get to see a wide variety of street art forms. The tour will show you the difference across various mediums like graffiti, murals, stickers, stencil, and wheatpaste. You are taken around some of the most vibrant street art locations in the city like Williamsburg in Brooklyn.Learn about their interesting history from the tour guides. The unique and off-the-beaten-track, these walking tours organized by a group of citizens who are passionate about their city. They will take you to streets that only locals would know of to show the latest in street art. The bohemian quarters, hidden passages, and worker districts are the best places to catch the local fervor and understand the motivation behind street art in the city. The tours last around three hours and are conducted usually on weekends. A graffiti tour that lets you connect to local culture. An appreciation of local street art that connects their stories with history and the social context of politics, past armed conflicts and the social mores of the country. You will be taken around by locals who have an intimate knowledge of the city and explore historical places, suburbs, and slums to get a sense of the thoughts that went into graffiti art on the city’s walls. Led by experts in Portuguese urban art, the tour would show you the ornamental tile art decorations. The city ranks amongst the top 10 in outstanding street art across the world. The tours would lead you through the evolution of the Azueljo art form as slowly animal figures and human forms made their appearance in tile art. The tour also showcases significant works that portray fascinating political, historical and cultural movements of the nation. Walk along the Dircksenstrasse below the viaduct railway to discover a wonderful world of paste-ups. See the satire of El Bocho in his portrayal of the Lucy Cat and the dancing girls by SOBR. Guided by young fun-loving Berliners, explore the courtyard at Hackesche Höfe to see the works of El Bocho, Stinkfish, and some unique metal sculptures. The tours also take you to the Kreuzberg Murals and at Friedrichshain, check out the cork art on yoga. This interesting tour conducted around Bushwick and Brooklyn is a discovery of street art along with a commentary on the history and critique of the street artists. At Bushwick, you would get to see the interesting use of pink by Buff Monster and also the works of Billy Mode and Chris Stain, who are members of the Bushwick Collectives. While the tour takes you to The Bushwick Collective, you also get to see The BogArt, The Loom, and Maria Hernandez Park. Rather than just a tour of street art and its craft, this tour makes it an experience worth remembering. 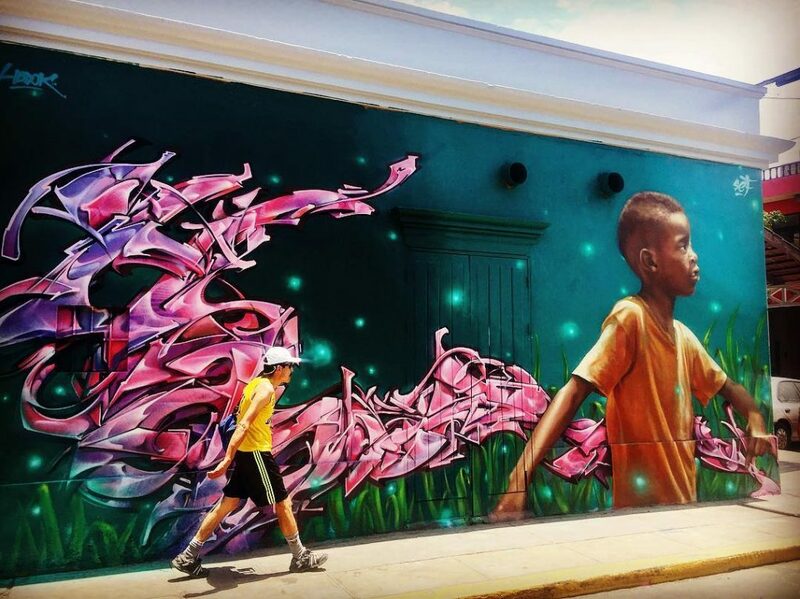 Led by urban artists who have contributed to the street art scene in Colombia, their storytelling is captivating. Each piece of art they show you have a story and their explanation of the culture and history of Communa 13 makes the graffiti tour exciting. Communal 13, once considered the most dangerous place on earth has seen a major transformation in which street art has played a major role. This street art tour led by a passionate, fun-loving street artist and illustrator, is a thorough account of the urban art form on the walls of Barcelona. Interjected with interesting anecdotes, the tour covers the work of artists like Miss Van, Zosen, Space Invader, Kram, BTOY, C215, Alice and many local artists. You can also catch the local culture flavor as you get to visit alternative galleries, workshops, events, cafes, and shops. Victoria Gilliand, who leads this insightful street-art tour, has somewhat of an infectious effect on you. Enthusiastic about her work, she has documented the work of multiple artists and knows the painted walls and alleys in Dunedin like the back of her hand. Her interpretations are fascinating. You would get to see knitting graffiti, a new trend in street art. Besides local artists, you get to see the works of Belgian artist, Roa and also of artists from Poland, Argentina, and Italy. 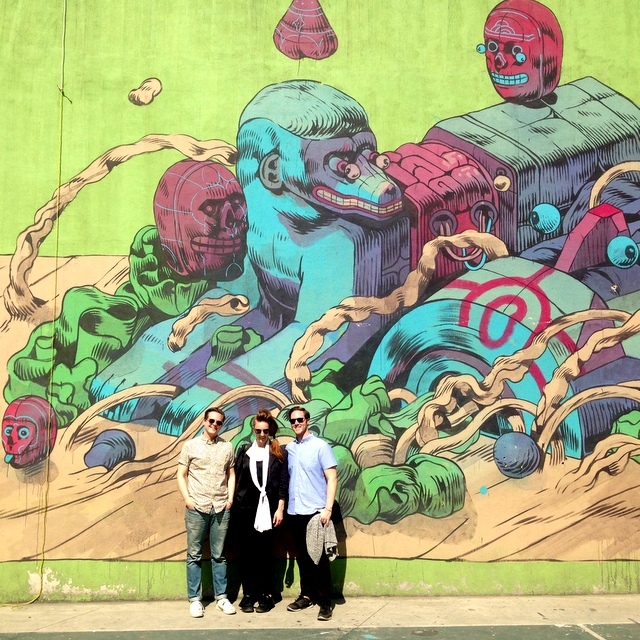 This tour by Tailored Tours Peru takes you across the city to see the best of Lima street art. The entire city seems to be a canvas, wisely used by local artists to paint their impressions. The bohemian and the historic center is covered with interesting murals. Barranco, a small locality, is full of colorful houses and street murals lined up its streets. This bohemian district has some of the best artwork of local artists and even in the nights, it is a colorful world, offering many photo opportunities. A street art tour that runs daily! That itself speaks tons about the immense popularity. You are taken on a two to a two-and-a-half-hour tour of the Jewish quarters to see its painted murals and street art. Some of the significant works that you get to see on the tour are the ‘Sissy’, ‘Rubik’s Cube’, depictions of ‘Polish-Hungarian Friendship’ and many more. A wonderful mix of art and a tour of the city’s fascinating alleyways and staircases, the tour starts off with an excellent introduction to graffiti. They explain the various techniques used, a background of the artists, and a bit of history. You get to visit the museum of fine arts and the artwork at the Alegre and Concepcion Historical Districts. The tour sometimes includes a visit to an artist’s workshop, but this is based on the artist’s availability. It cannot get more authentic than this. 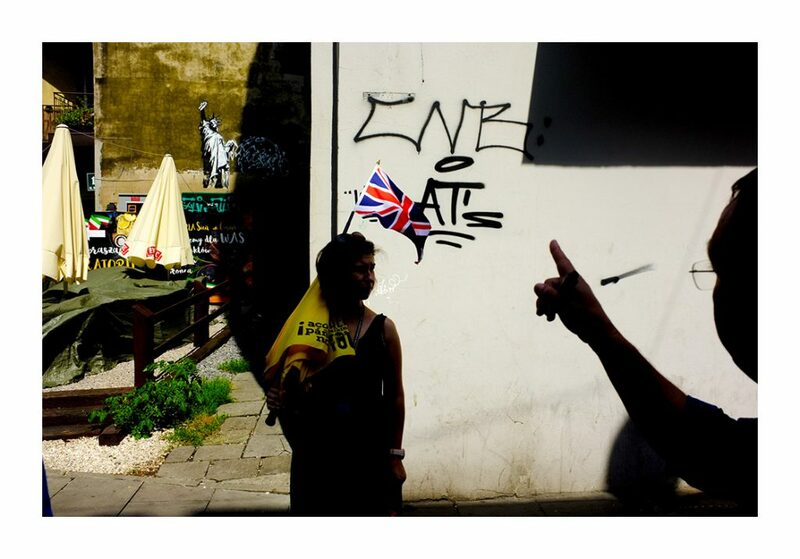 This street tour of Bristol conducted by Where The Wall is conducted by some artists who grew up with Bansky. Graffiti art in Bristol has a long history and the tour covers the story of the cultural scene in Bristol since the 1980’s. Conducted during the weekends, it covers the life and works of Bansky, and those of Inkie, Nick Walker, 3D, 3Dom, Pixel Pancho and many others. These tours on bikes begin at the “Kulturbrauerei” in Berlin’s Prenzlauer Berg district. You would get to see the works of Victor Landeta, UF Crew, Bruno Smoky, Lembo, Lizart, Kam Laurene and others. They take you on a mixed tour art across the streets of Berlin and show colorful art like the Angler-Fish graffiti at Mauerpark, some interesting Tasmanian devil representations, paste-ups by Pilazator, and the interesting characterizations of Tobo. 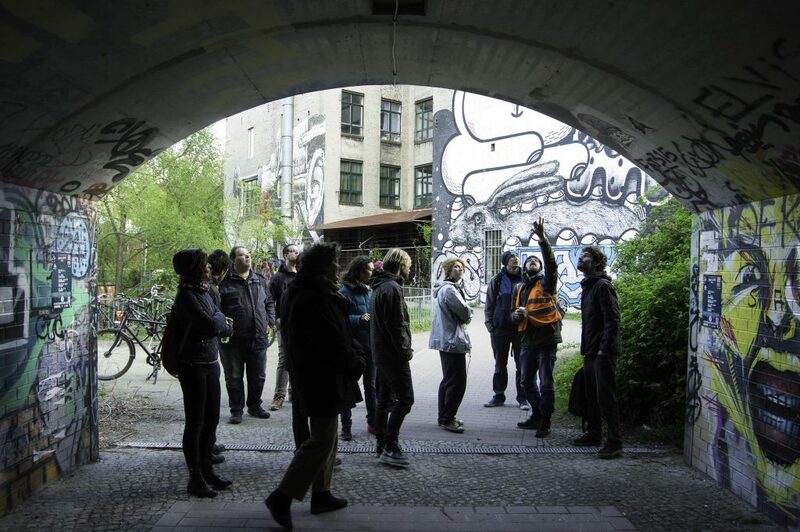 A three-hour tour in small groups, this walk is conducted by a group of professionals that closely work with many Berlin-based street artists. They also run the Openwalls project, which gives them a closer view of artists and of the street art scene in the city. The tour introduces you to multiple techniques like tags and stickers to the more well-known murals and paste-ups. The Alternative Tour truly takes you off the beaten path. They showcase the underground culture of Paris that is known to have produced great artists. 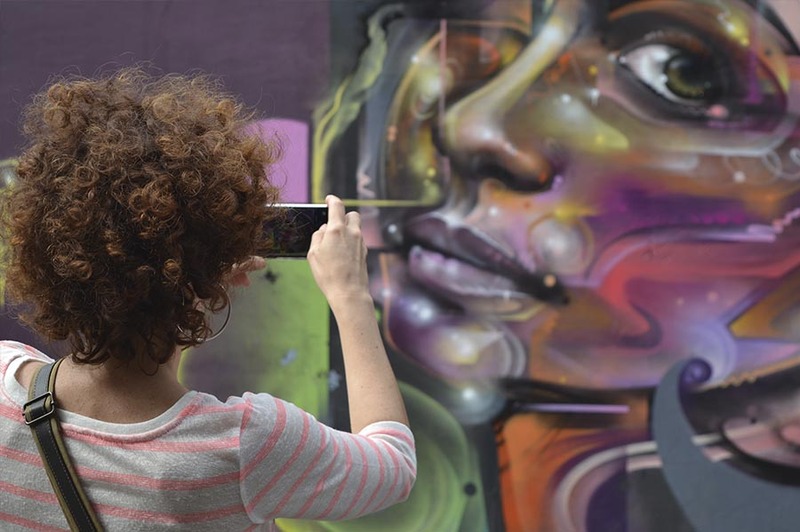 The tour combines an appreciation of street art with a social experience as it also includes art and squat history plus a tour of some of the cool cafes and markets. The tour takes you along to the Montmartre area, the glitzy Moulin Rouge and shows you the lively street art of Belleville. The tour lets you interact with the locals, tells you about many cool things about Amsterdam that you might not otherwise have learned about. They mix art and culture in a wonderful blend of storytelling that takes you to the lesser known parts of the city. Informative and fun-filled, the guides, who are locals as well as some expats provide you an interesting view of the city’s history and culture and hidden street art. Explore the city of Krakow as you get to walk the streets and ponder upon an abstract work that you can’t figure out or sets you thinking. The city’s walls have a scattered assortment of interesting art-work like the ones done with stencils. 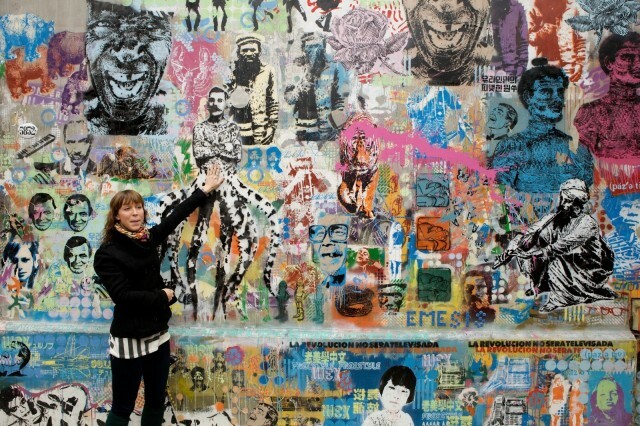 The guides on this tour have an intimate knowledge of the entire street-art scene in the city. They will show you the great works created during the Grolsch Art Boom Festival as well as ones that do not have a legal sanction. The tour is conducted in the Kazimierz and Podgorze. Led by local street artists, Graff Tours is the original NYC Street Tour dedicated to connecting people with urban artists. They offer graffiti tours as well as graffiti workshops where you can learn aerosol art in a legal space. Come visit our Brooklyn Art Studio to see the true graffiti showcase and even take home an original piece of art. Graff Tours is a street art tour followed by a graffiti workshop led by a local artist. Ask these people for a personalized curated tour and you wouldn’t be disappointed. They deliver their tours in multiple languages. The street art tour starts with a visit to the Taksim street art venues that lie on the European side. The tour then moves to Karakoy where almost all shop shutters are a wide canvas for the street artists. You would then take a ferry ride to the Asian side and explore murals and street art at Kadikoy, Maltepe and a deserted factory. Conducted by tour guides who known Berlin in and out and have been associated with the street art scene for long, the tour provides you a view of street art that you wouldn’t have otherwise noticed. Tags, paste-ups, stencil work, or spray paints, local artists have really livened up the graffiti scene with their work at odd places. Working along a ledge, or at a high point upon a building or a graffiti work that the artist did rappelling down a building! There is no dearth of tours advertising street art at London’s East End and no doubt, that’s where you would find the best. 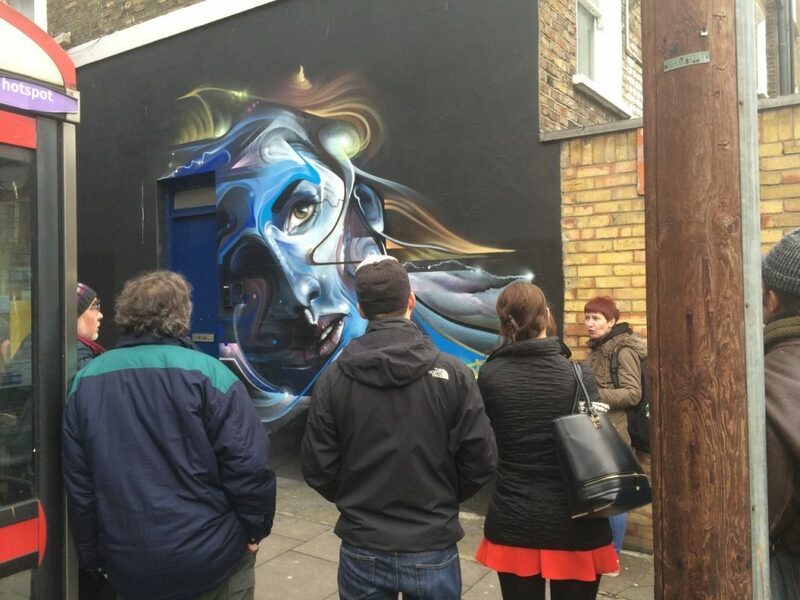 This graffiti walking tour does take you to East End by Shoreditch, but they will take you to the best spots from Old Street Station to Bacon Street and make sure that you do not miss any significant one. You will get to see the works of famous street artists like El Mac, Stik, Space Invader, Jimmy C, Dscreet or Phlegm and many more. Graffiti on the walls of Sydney is highly transient as your tour guide would let you know upfront. The city authorities tolerate graffiti only at a few places. These tours would take you to the fascinating back streets of Newtown and Enmore. The interesting part is the guides would literally help you learn how to identify the work of an artist. Some of the works that you may get to see are those by Birdhat, Ears, Phibs and Jumbo. Colorful, fascinating, and different. That’s Chicago’s street art. You get to see mixed works of graffiti and murals like the one on Evergreen Street in Wicker Park. Do not miss the famous “Welcome to Chicago” mural at Logan Square. The Gulliver mural at Pilsen is notable as also are the Mexican mosaics and murals in the locality. The wall murals on the Wabash corridor are great works of a collaboration of local artists, galleries, and art institutions. 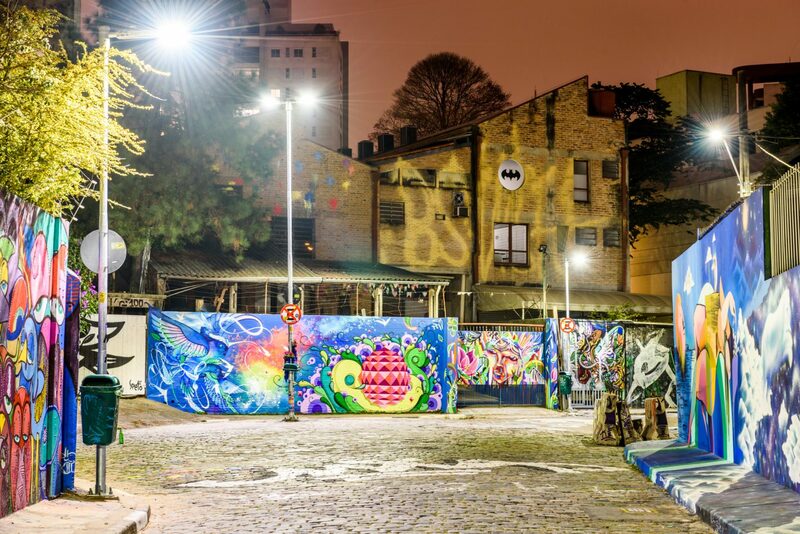 The tour provides a great insight into the city’s art culture, the political origin of street arts, and the evolution of Buenos Aires into a major street art city. 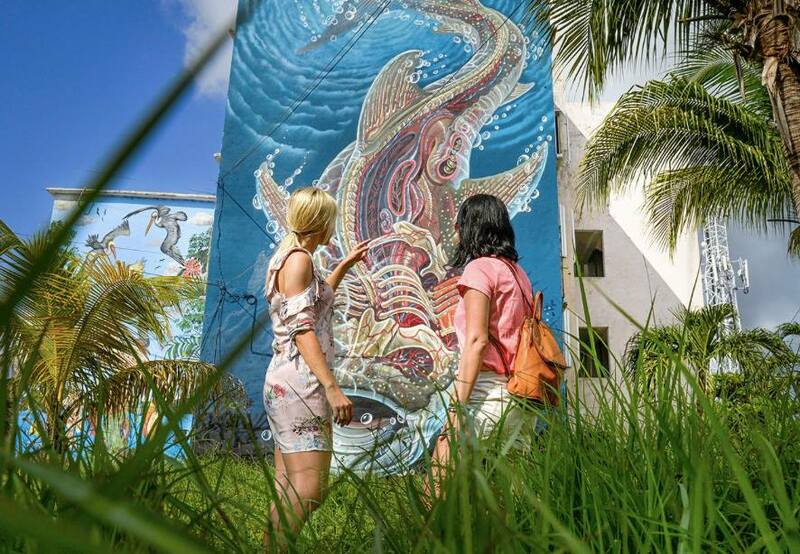 You will be guided to hidden art hotspots and also on a tour of the open-air galleries. A fascinating part of the tour is a visit to Union, a street art bar run by a local artist. You can also buy work of local artists at the store. As the organizers of this walk would tell you, Athens is often called the World capital of street art. Lasting three hours, you will be given a tour of the significant artworks that have now become almost a part of the city’s conscience. You get to visit Gazi, an industrial exhibition center, the hotspot of Metaxourigo and Psiri that’s known to be the original home of street art in Athens. The tour introduces the works of local, national, and international artists that reflect Hamburg’s cultural diversity. As you walk through the bohemian districts, you would be introduced to the alternative culture of the city. The graffiti work on the walls is a major reflection of community protests, some urban art movements, gentrification threats, or legends about pirates. The tours last around two hours and walk you through Schanzenviertel and St. Pauli districts. A tour of the city’s alleys, these tours can be taken either on a bike or as a walking tour. 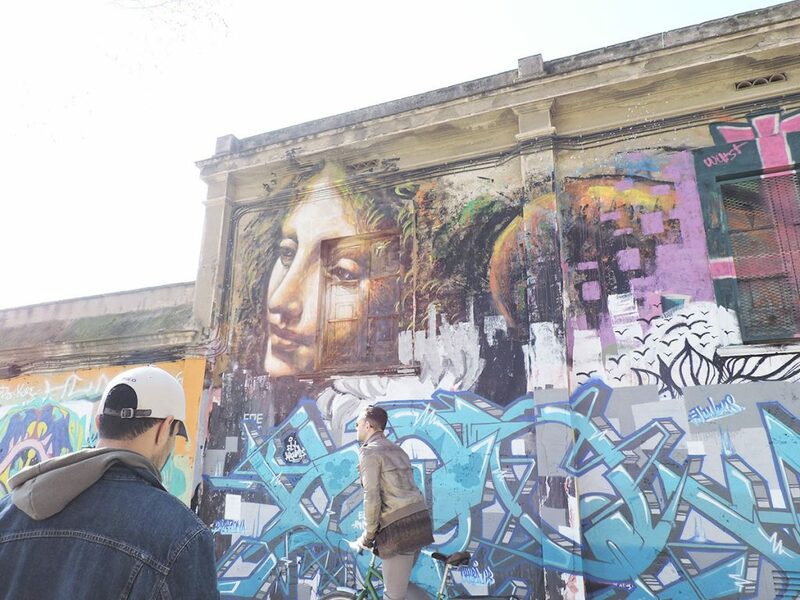 The tour takes you to the neighborhoods of El Borne and the Gothic quarters, where you get to see classical examples of street art and get to hear about the graffiti movement in the city. In the El Raval neighborhood, you will see small and large murals as well as newer and contemporary artworks. This unique tour not only showcases the old but also provides visitors an update of the latest happenings in street art in the city of Bergen. Explore some of the most vibrant neighborhoods and listen to stories of how artists like AFK, Bansky, C215, and DOLK have permanently transformed the street art scene in the city. You might also get to see an artist at work and pick up a conversation on the nuances of the art form. 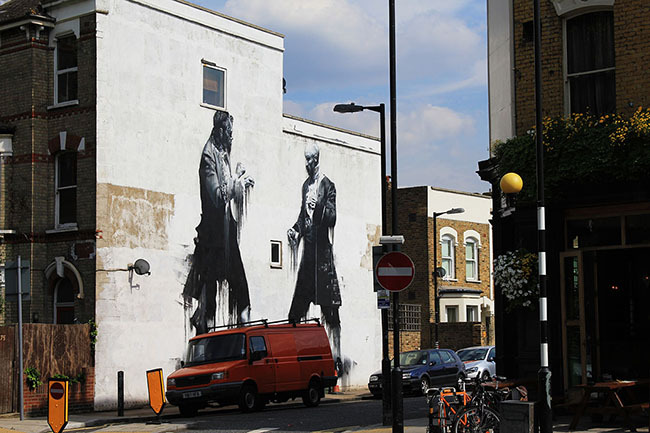 The street-art tours are organized around East End, specifically Shoreditch, often called a hipsters’ haven. The tour showcases the pioneering works of Bansky, Shepard Fairey, of French artist Space Invader, the works of Christian Guémy aka C215, Ben Eine Flynn, Stik Stik, ROA, Os Gêmeos and Conor Harrington. The guides would also discuss aspects of street art, the history of the art, politics and economic situations that influenced such art and the various techniques too. The beautiful neighborhood of Wynwood in Miami has some wonderful collections of the work of prominent world artists. Murals by Retna, Chor Boogie, Shepard Fairey, Trek 6, and others are notable. 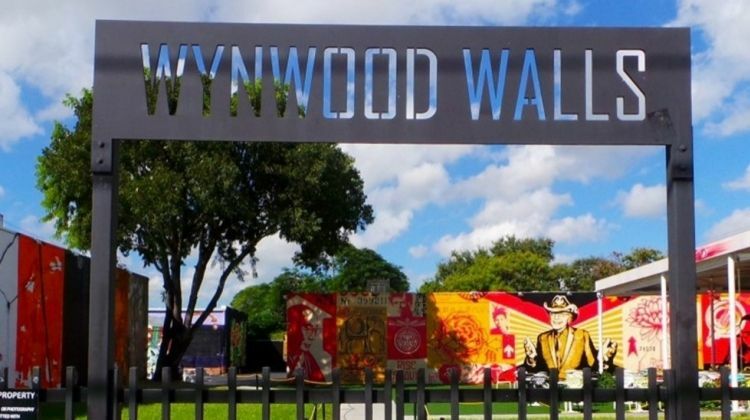 The Wynwood Art District is famous for The Rubell Family Collection. As you explore the artwork on the streets of Miami, you are also treated to tapas and cocktails at some of the best lounges in the locality. Regarded by art enthusiasts as one of the best experiences in Madrid, this two hours guided tour takes you to four underground art venues. The visits are accompanied by a nice commentary on the history of Madrid’s street-art scene and the techniques used. The artworks of CALLE Lavapiés, Muros Tabacalera and Urvanity festival deserve special mention as is the visit to La Tabacalera. The nice part of this street art tour in Vienna is that it is conducted in the evenings, which helps you avoid the crowds and the busy streets. The other unique part is that the tour doesn’t have a set route and instead takes you to different neighborhoods based on what’s freshest and what’s significant. You could get to see the works of ROA, Blu and Shepard Fairey. For a part of the tour, you may need to hop on to public transport to travel to the art hotspots. A 3-hour private tour, your tour guide, and street artist will let you in on the history of underground art and techniques employed in graffiti! As you walk the small streets in Athens, you will also learn about the social and political aspects that have influenced Greek street art. You get to admire the amazing mural art and paintings of artists like INO, Sonke, and many other well-known street artists. Accompanied by a soundtrack, this tour of New York’s graffiti is guided by a professional artist. At the Bronx neighborhood, you get to see a large number of murals and art pieces by artists from across the globe. In addition, you will be given a guided tour of some art galleries and exhibitions and travel on the subway to some of the best art hotspots across the city. 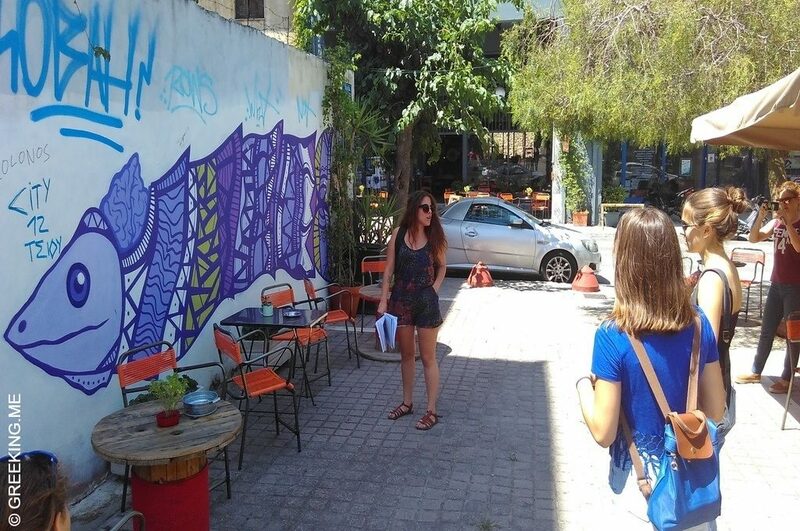 A three-hour tour of the city, you get to visit the Metaxourgheio neighborhood, the most happening street art scene. The social and political aspects of art are explained to you in an amazing story-telling style. The effect of the economic downturn on street art is a major highlight of the tour. As you walk across the non-touristic neighborhoods, you get to appreciate the Greek street art scene. The tours are available in French, English, Spanish, German, and Italian. The 5 Pointz graffiti mecca might be a thing of the past, you can still see some great street-art in the Long Island City neighborhood. The tour commences at Long Island City and weaves through Socrates Sculpture Parks. The tour then takes you by ferry to Astoria where you get to see the Welling Court Mural project. These interesting tours of downtown and La Roma, the city’s hipster neighborhood is a great peek into the city’s culture. The downtown part of the city has some great wall-sized murals and the tour would often let tourists undertake a private spray-painting session. A trip to La Roma is all about fashion, food, and the hip side of the city. Despite being illegal, graffiti and street art can be widely seen across the city. 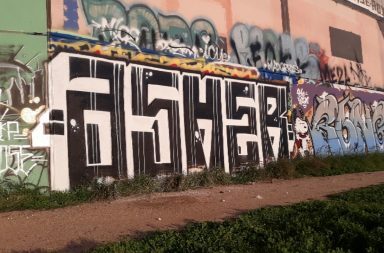 This tour recommends visiting southern Tel Aviv, especially the Florentin neighborhood where authorities usually turn a blind eye to graffiti. Some of the streets that are notable are Elifelet St, HaMehoga St, 3361 Street and Hanagarim St. Since most of the graffiti is done on the shutters of business establishments, the guide recommends a visit during the afternoon when they are easily visible as businesses stay closed. A wonderful compilation of curated tours, these feature multiple street art destinations across continents. You get to explore the sensational murals in Las Vegas, explore hidden art at Camden in London, the trendy art scene in Melbourne, experience community art in Santiago, take a private tour in Rome, enjoy the creativity in Valencia, or discover the sensational art at Valparaiso. These are the works of famous Australian impressionist painter Anthony Lister. As you explore Sydney, you will come across a number of his works. Consult this guide for a wonderful interpretation of some of his significant works. Notable ones include a painting at Redfern Carpark, a ballerina painted on a wall in the industrial area of Alexandria, some paintings on roll-up garage doors at Bondi, face paintings at Oxford Street and in Taylor Square. If you are visiting Slovenia, be sure to do the Ljubljana graffiti tour, that will take your around the city for a good 2 hours of discoveries. Some of the highlights of the tour include the Rog Factory, Metelkova, Old Town and the Ljubljanica river. SGT is the first tour in Bulgaria about graffiti and street art, est. 2016. This is a free / tip based graffiti walking tour and you will go around the city center in about 2-2.5 hours. 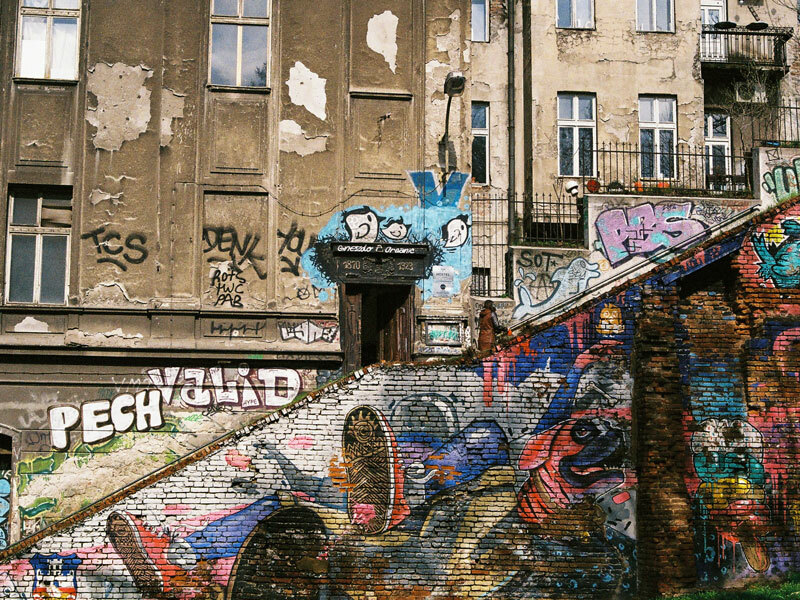 A must to discover this city graffiti scene and its history. If you know more tours to be added to this list, email us!